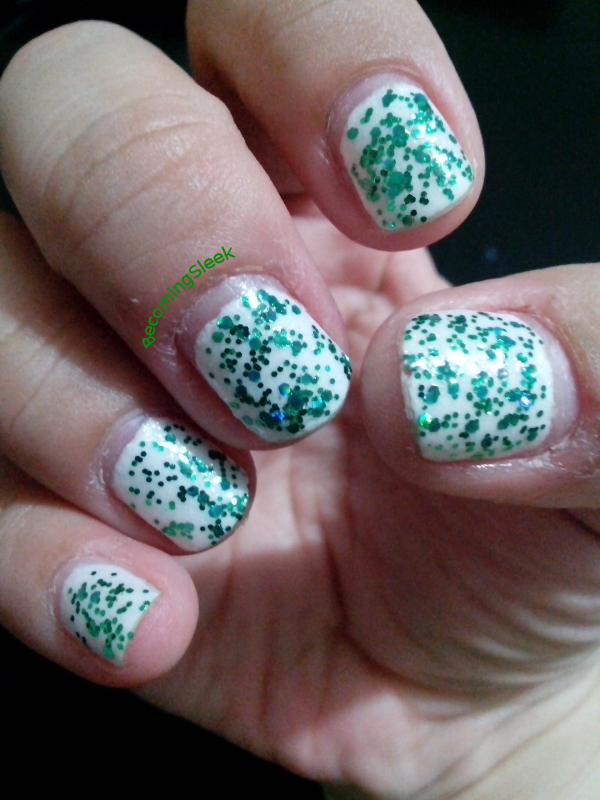 After a long long time, a nail post! 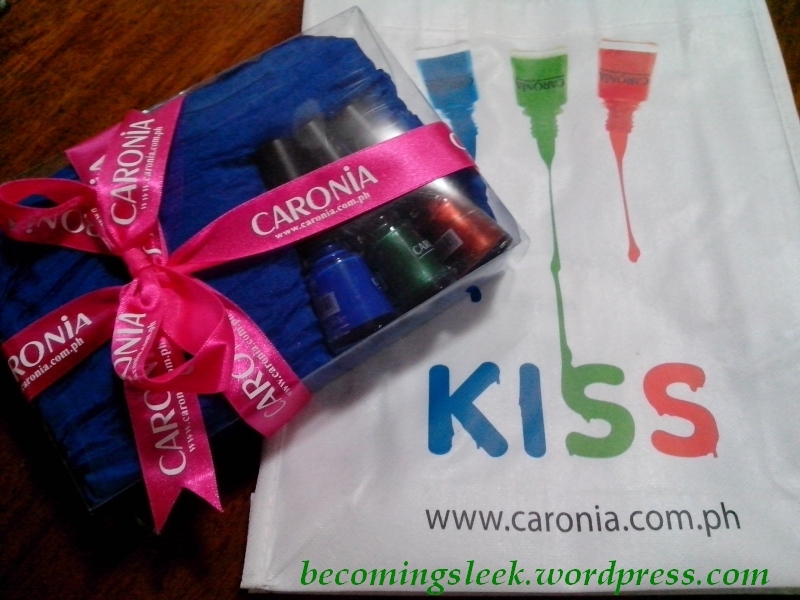 I’ve definitely missed polishing my nails, and I’ve got Caronia Philippines to thank for inspiring me to start again! They sent me their newly released collection, Blue Moon, in this nice little press kit. Held in this cute reusable bag, the kit contained the three new shades of the Blue Moon collection, as well as a lovely blue scarf that I’ve taken to wearing in the office. 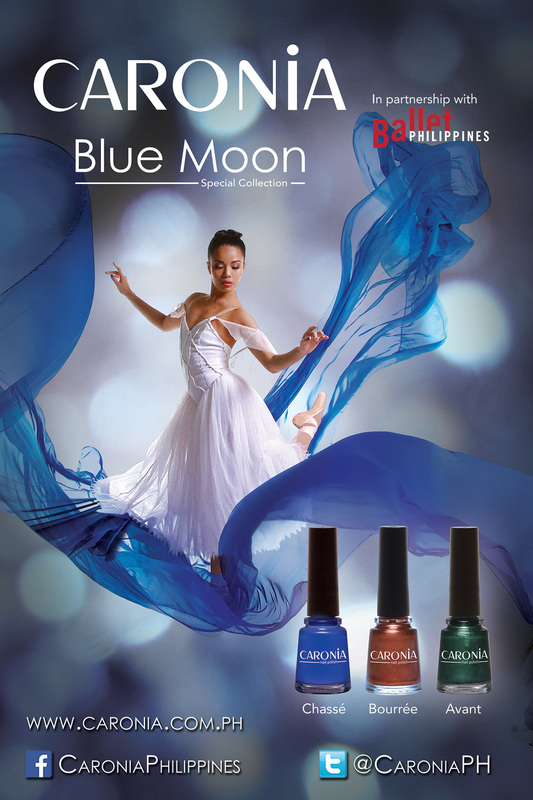 This collection is a collaboration with Ballet Philippines. 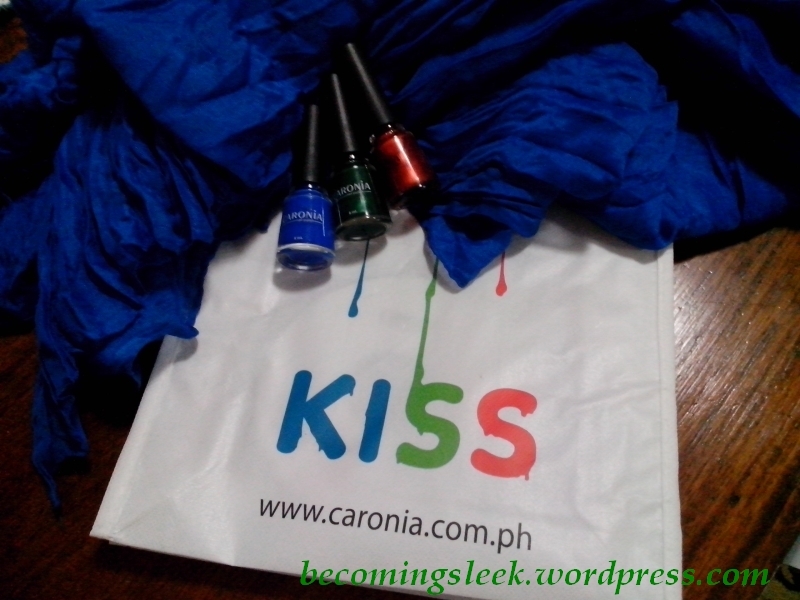 These colors aim to liven up your nails and keep you prepared for those unexpected and thrilling moments that happen once in a blue moon. Read on for the swatches! 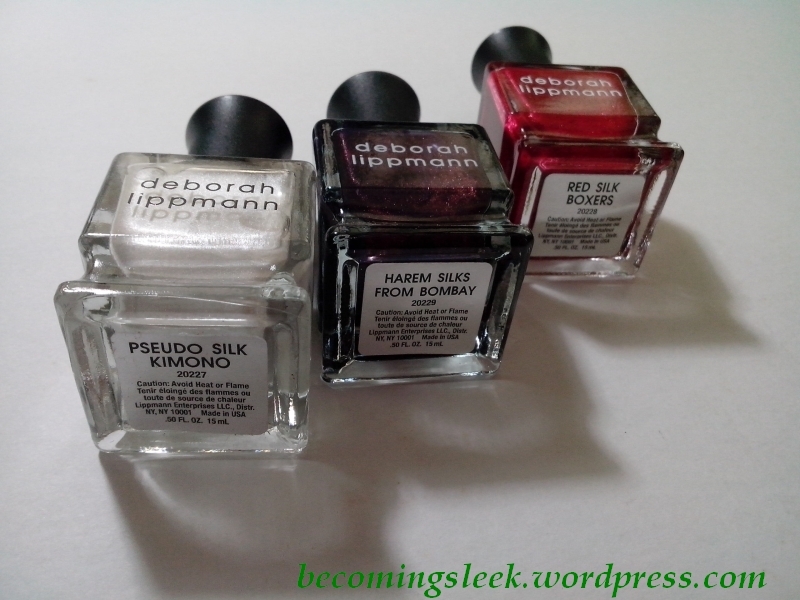 One of the most exciting items in my loot from BU7xSunsilk last May 17 was this most awesome nail polish set: Deborah Lippmann Silk Collection. 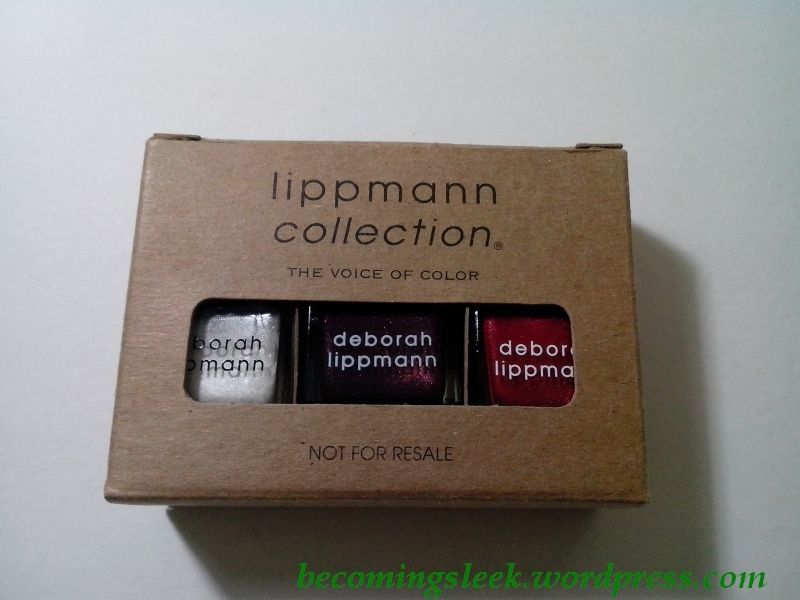 I had heard tons of great things about Deborah Lippmann nail polish and here, finally, I can get to try it! 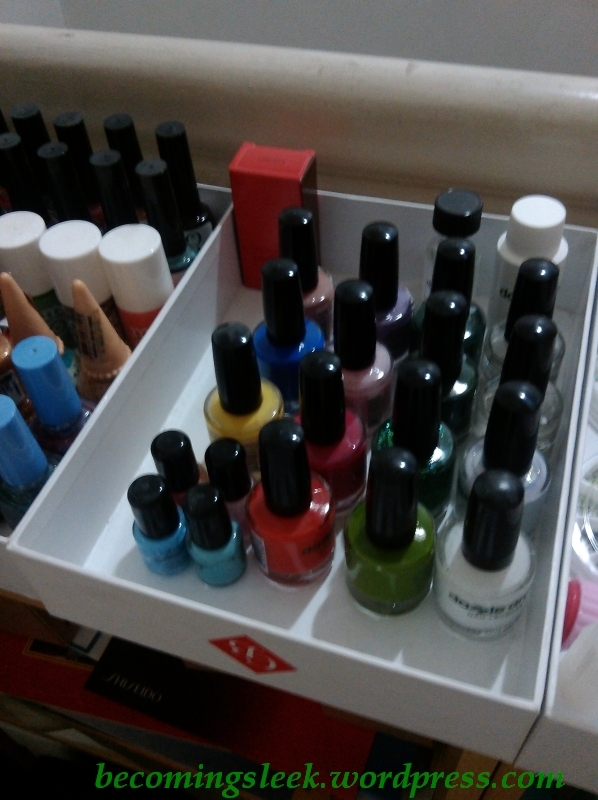 It came in this tiny cardboard box that housed all three polishes in the Silk Collection. 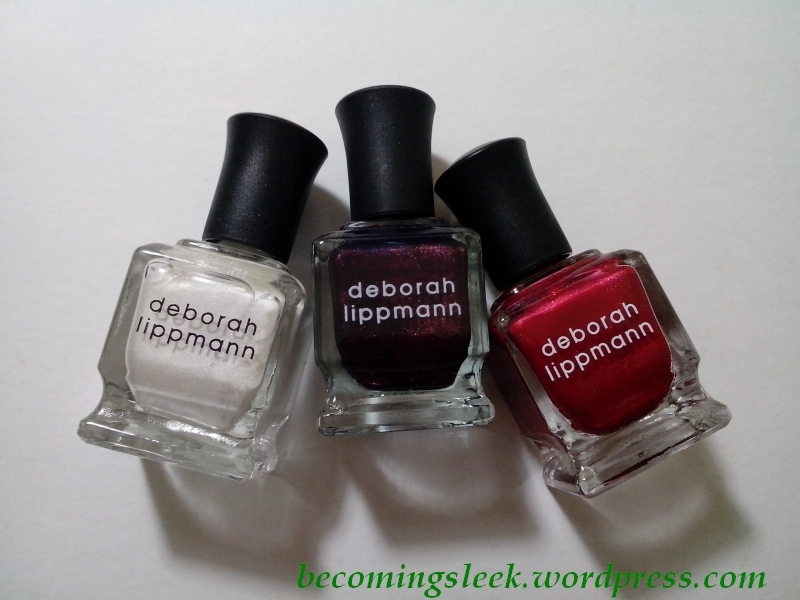 Opening it up I was greeted by the iconic Deborah Lippmann bottles. This collection has three shades. Pseudo Silk Kimono, a silky white shade that, from the bottle, reminds me of its namesake; Harem Silks From Bombay, a deep sparkly purple that bids to be one gorgeous shade; and finally Red Silk Boxers, a bright sparkly red that may turn out to be one of my favorites. I’ve finally finished swatching all of them. Let me start with the one I started with: Red Silk Boxers. I knew it was going to be a beautiful red shade. 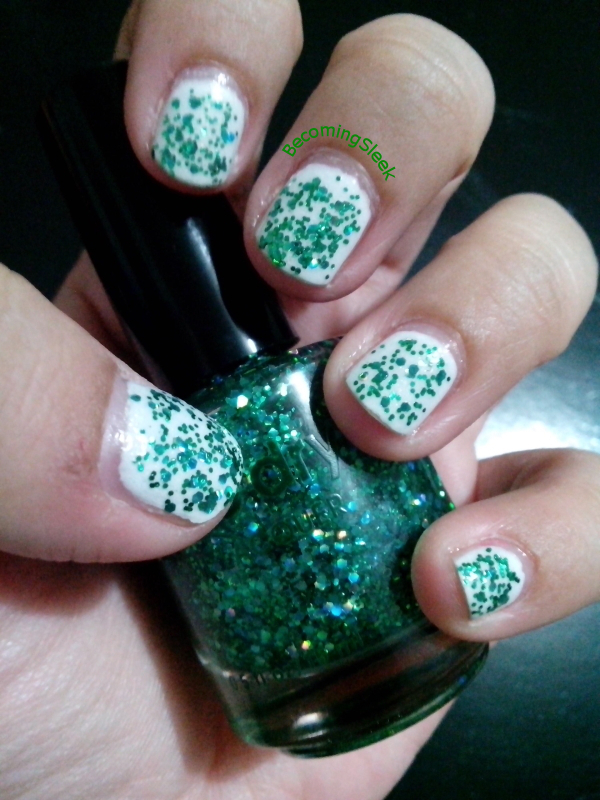 As you can see above, there’s some shimmer in the bottle, which doesn’t translate much on the nail. What I didn’t expect was the interesting matte effect that came out. 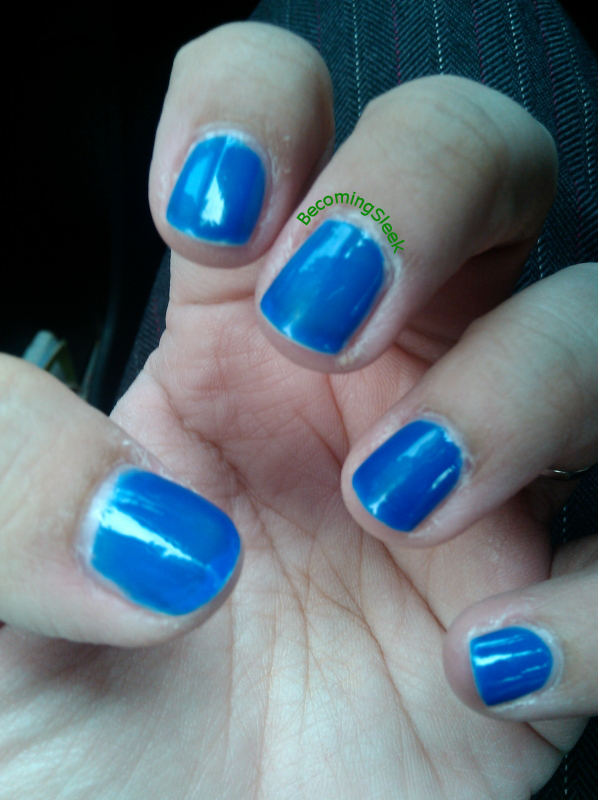 When you first apply this on the nail, it looks like the usual glossy polish. 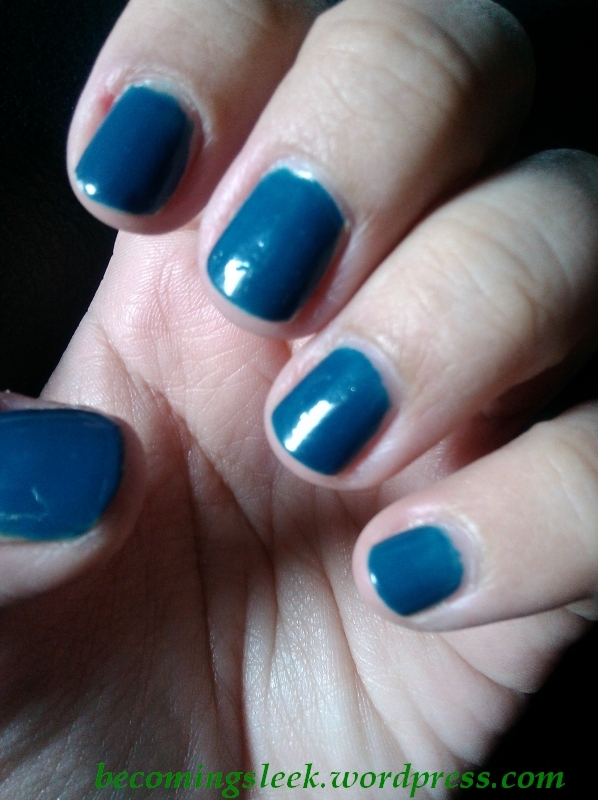 But it dries surprisingly matte! And it dries surprisingly fast too, almost as fast as Dazzle Dry. 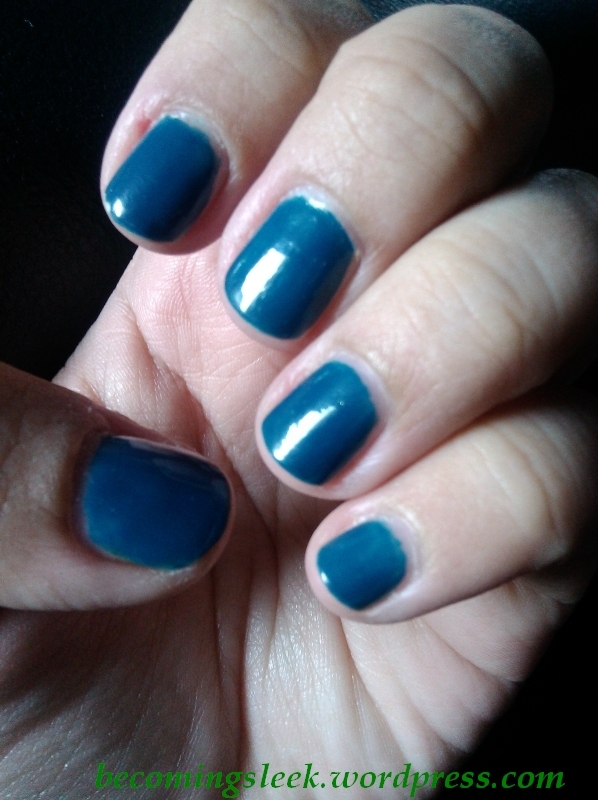 And it needed no topcoat! This is really good news to me. And check out that color! I like a good bright red, and being matte means this is quite office-appropriate as well. Perfect. The next shade I swatched is Pseudo Silk Kimono. Like Red Silk Boxers, it dried matte. Unfortunately, being white, it was a lot more prone to showing brush marks than the red (and the purple one). For some reason it also didn’t last as long as either of the two. 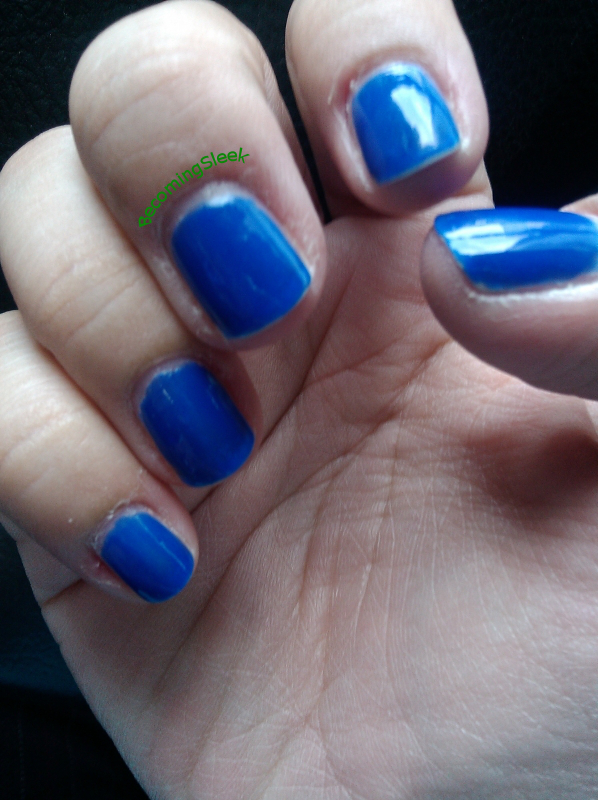 It chipped after just two days (I didn’t use top coat in any of the three). I guess it is pretty clear that this is my least favorite. Finally I got to swatch the last, Harem Silks From Bombay. I thought it had the most interesting name, and the most interesting potential. It was purple, with shimmers! And it would probably dry matte as well, like the other two. It turned out to have a lot less shimmer, but it is there if you look closely. I love the color so much! It looks almost black in certain angles, but the purple flashes every once in a while. 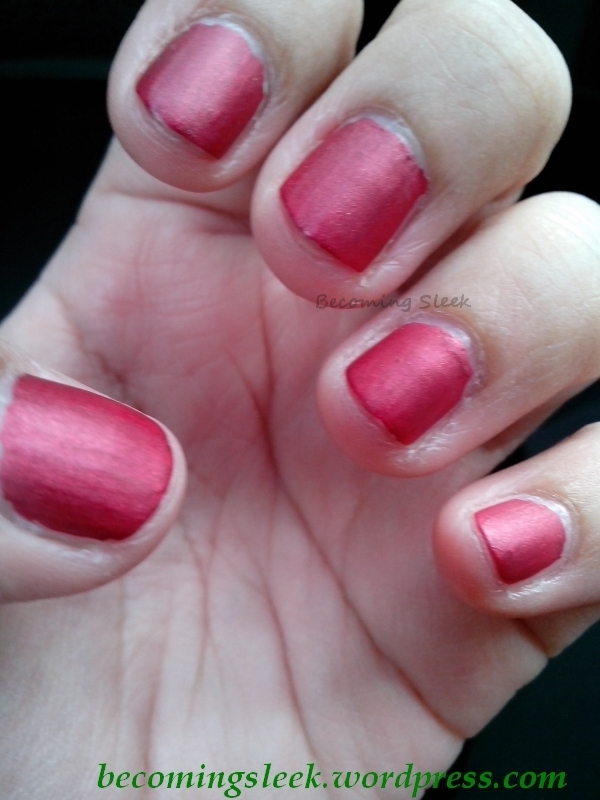 I also love the pinkish microshimmer as well! There you have it! I really love how these turn out, and I think I might explore the brand a little bit more because of this very positive experience. 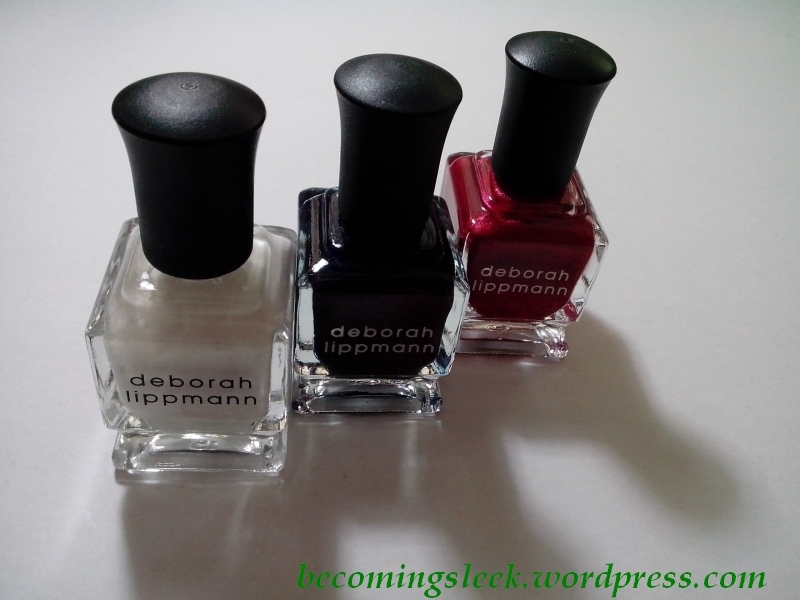 Deborah Lippmann is cruelty-free, and is available at Rustan’s Beauty Source for Php875 per bottle. In the second (close up) image above, you can see that the old bottle labels are on the right side, while the new bottle prints are on the rest of the bottles. Interesting development! Of course I have to buy the new bottles. 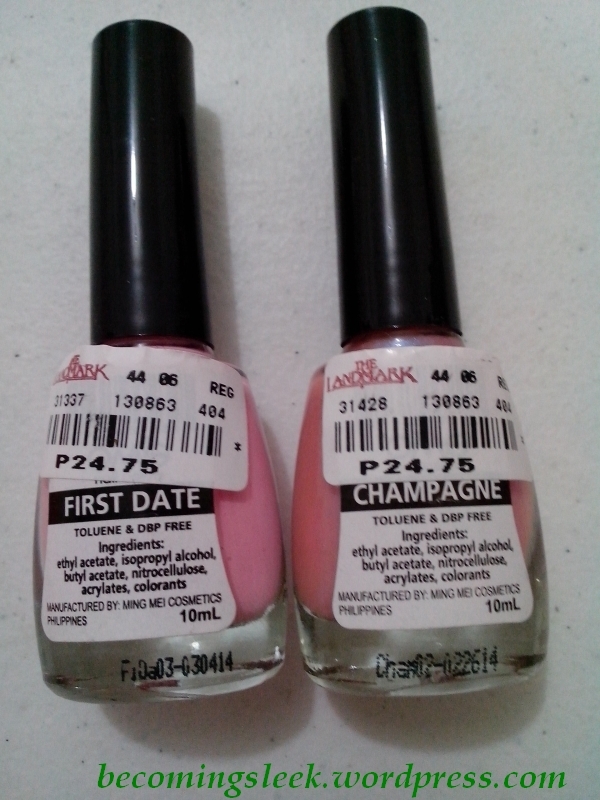 I got two pink ones: First Date and Champagne. Here you can see a better close up view of the new bottle prints. The sticker labels in front are now gone, and replaced with labels printed directly on the glass bottles. The bottles themselves are the same. Another major difference is an increase in price. These new bottles now cost Php24.75 each, compared to the old price of Php19.75. I think only isolated bottles remain at the old price, which include the line of Crystal Sands. Here is Champagne on my nails. 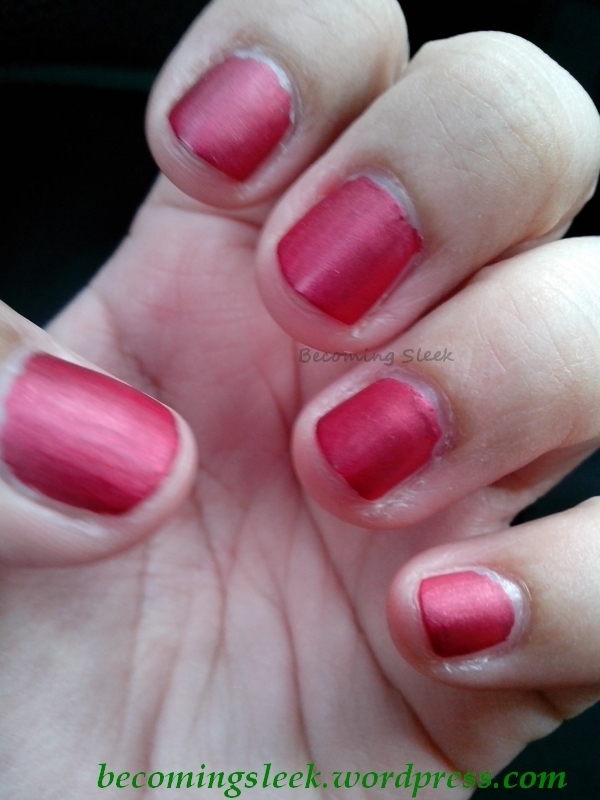 It is a very sheer pink, which is practically almost the color of my nails. It only becomes evident under bright light, which you see here. 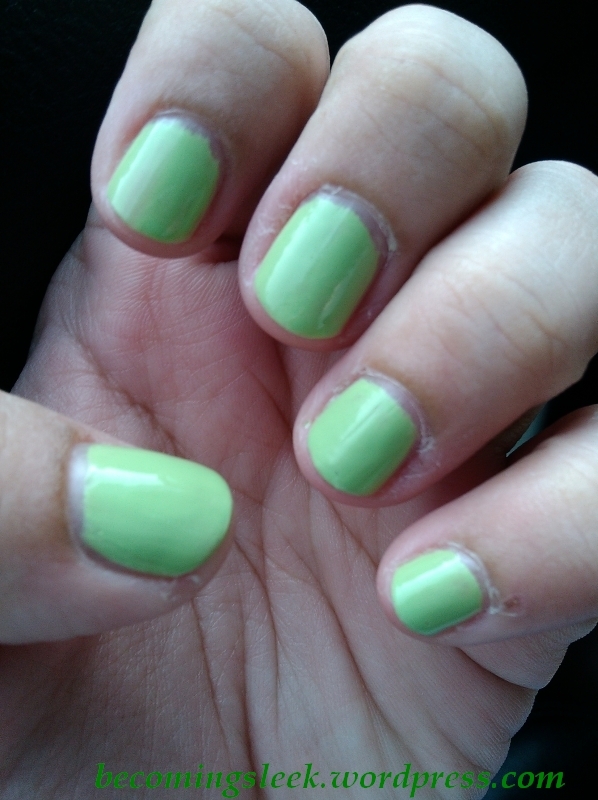 It’s actually pretty nice and is a good office-appropriate polish shade. Here on the other hand is First Date. 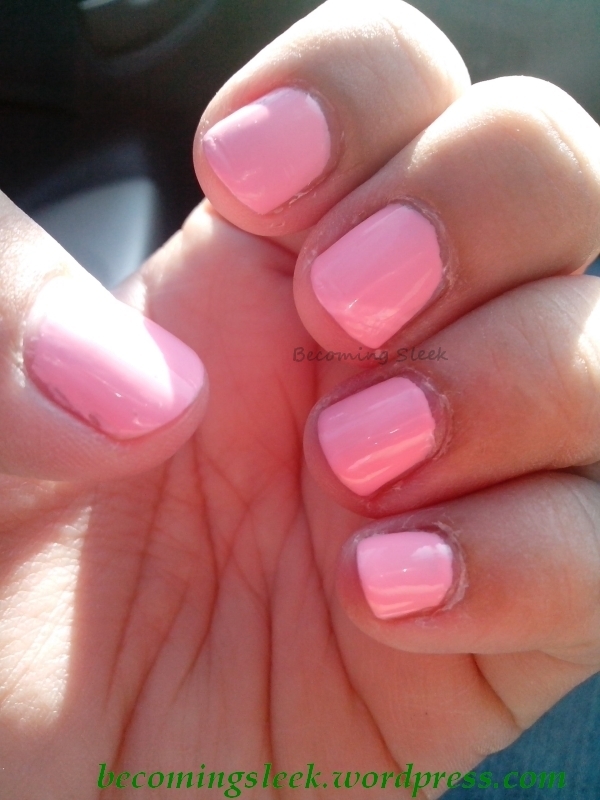 It is a pretty bright pastel baby pink, and is a great shade for summer. It leans neon and reminds me of stabilo highlighters that I used in high school. I…cannot think of a witty end to this post. So let me leave you with an awkward end. 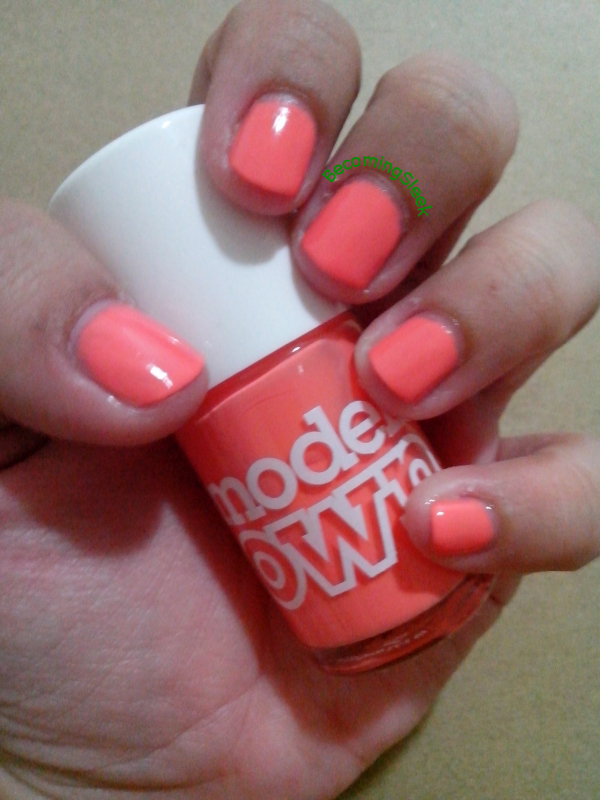 This week I’ll show you the swatch for OMG Sunny Tan. 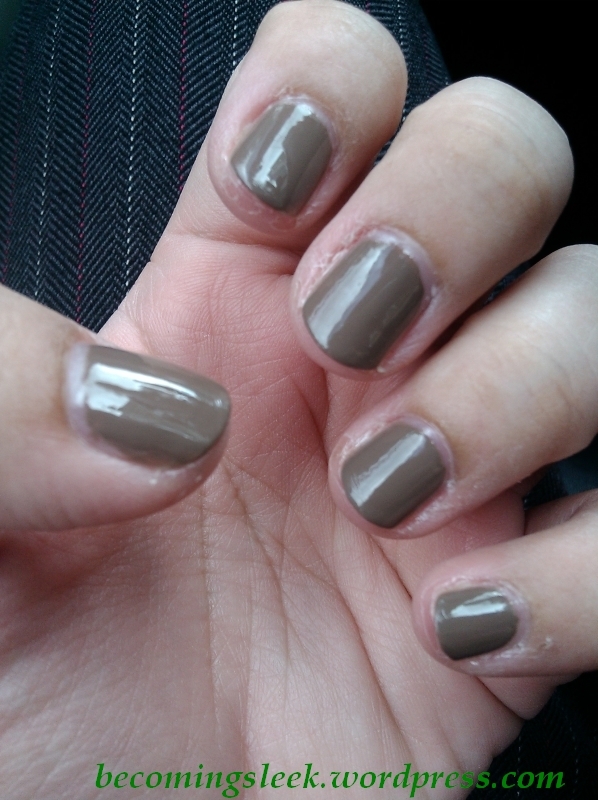 This shade is quite simply a taupe, leaning towards chocolate brown. 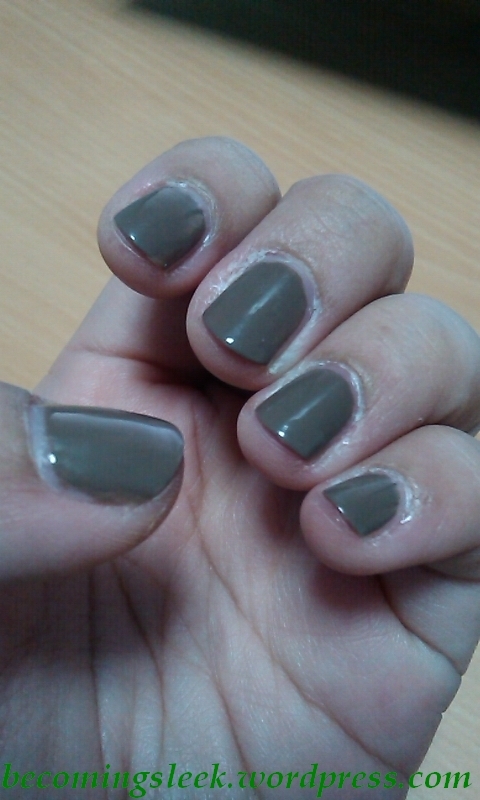 It is a very nice neutral shade, and quite office-appropriate. And here it is, outdoors. The chocolate browniness of it is more apparent here. 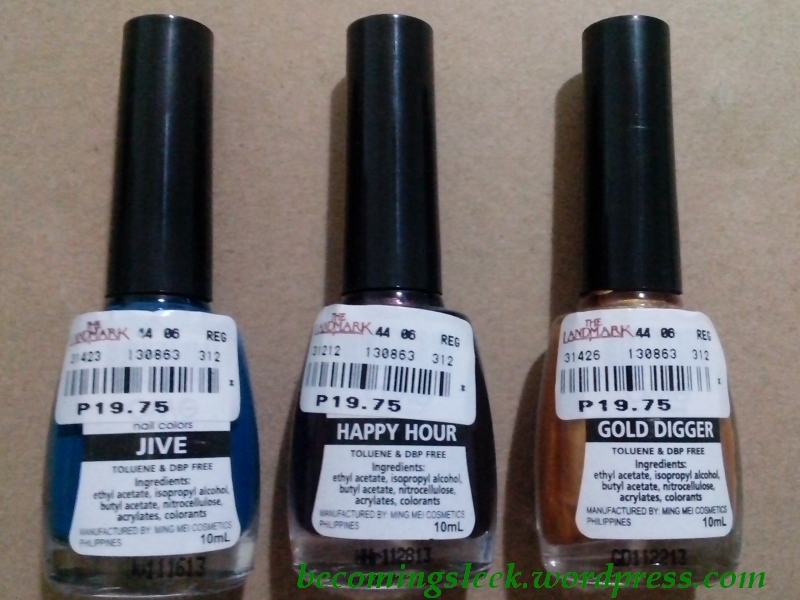 OMG nail polishes costs Php19.75 each, and is available in Landmark branches. I have no information on OMG’s animal testing policies. 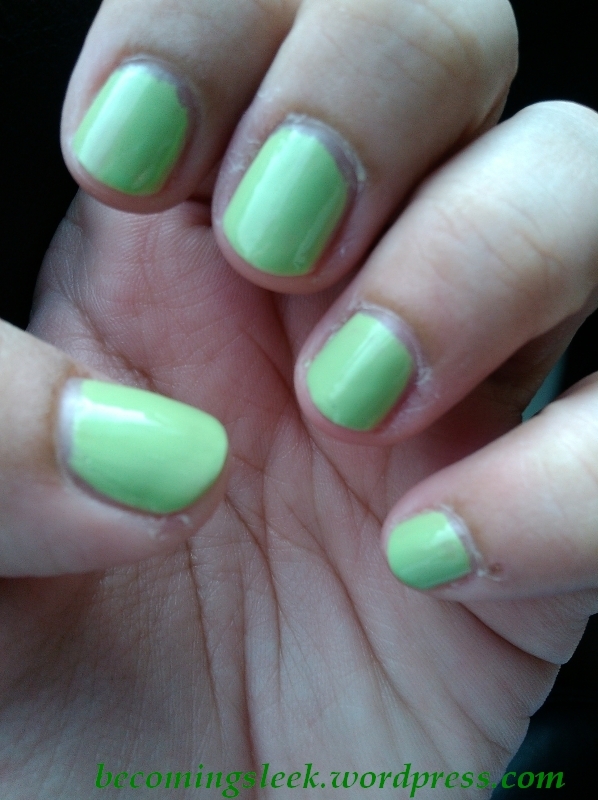 In a not-so-surprising turn of events, I have new shades of OMG nail polish. 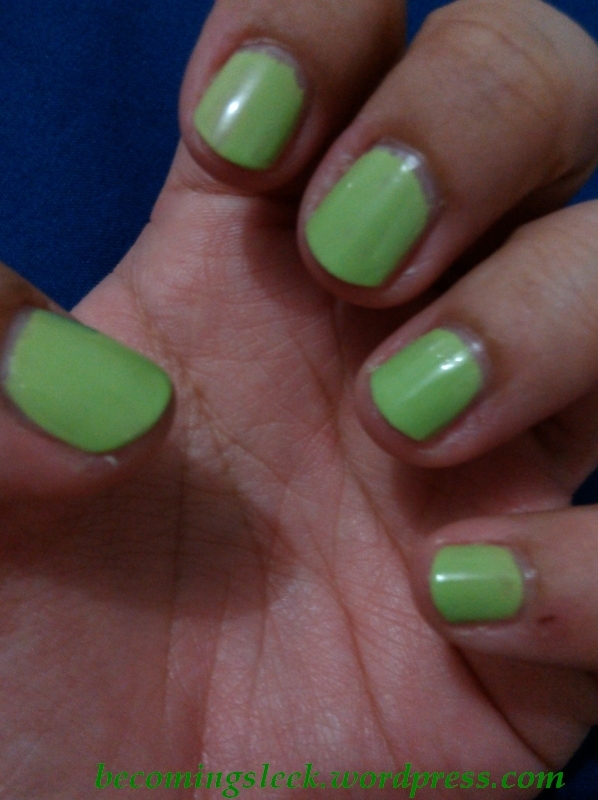 One of them is Gossip, a shade of green that falls somewhere between mint green and light olive. Indoors Gossip looks closer to olive. 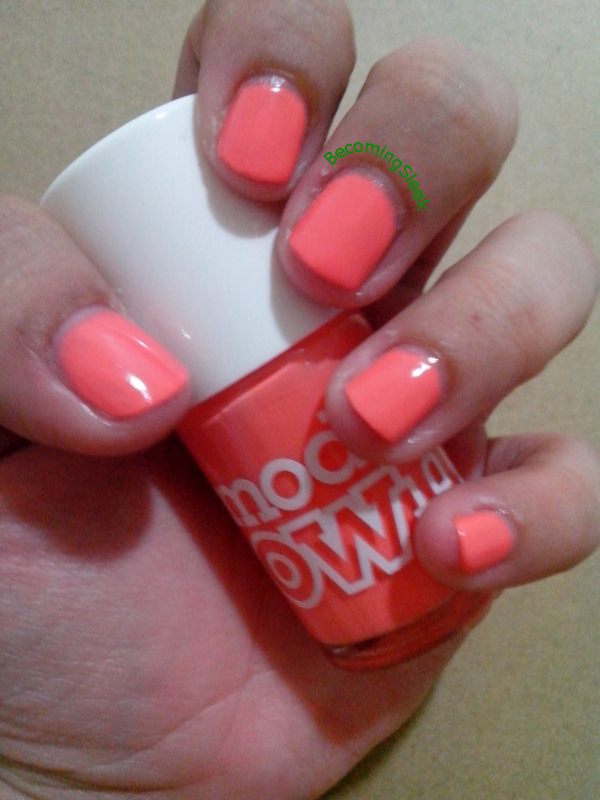 Loving this bright color on my nails! It should go really well with some pastel colored clothes. 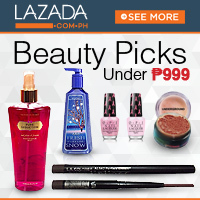 OMG nail polishes costs Php19.75 and is available at Landmark department stores. 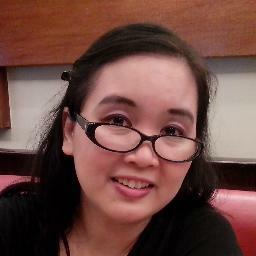 I don’t have information on OMG or Klik’s animal testing policies. 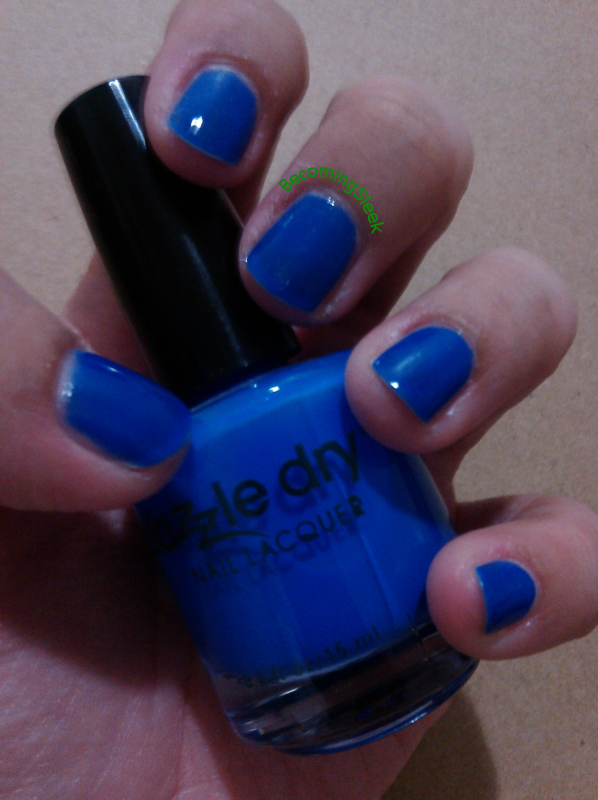 Here finally is the last of my three new OMG nail polishes: Jive. 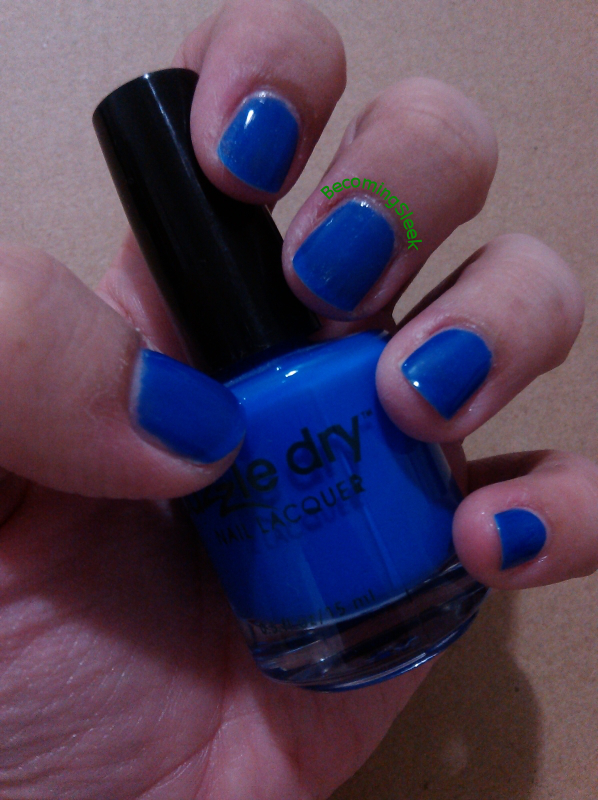 It is a blue that will remind you of plastic toys and maybe an after-lunch sky. Indoors it looks a lot darker, closer to the bottle color. Outdoors it looks lighter and brighter. 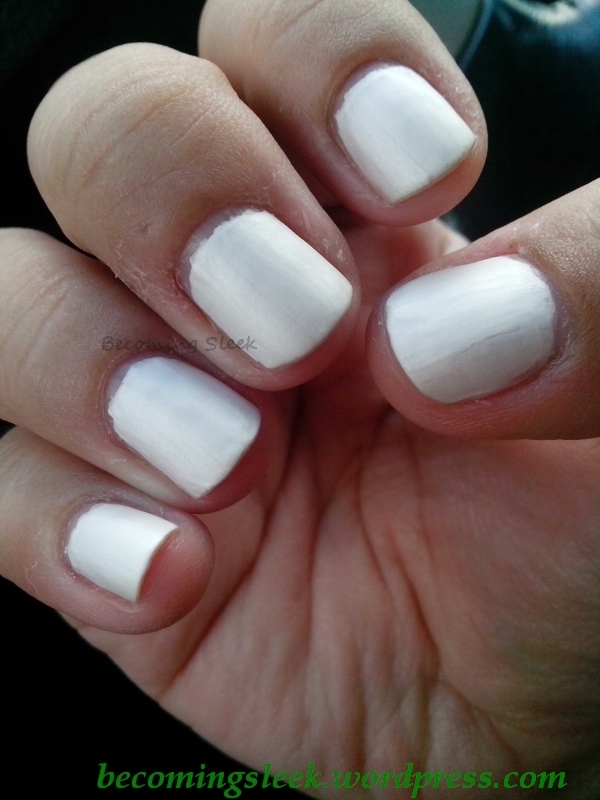 I used two coats, with a top coat. 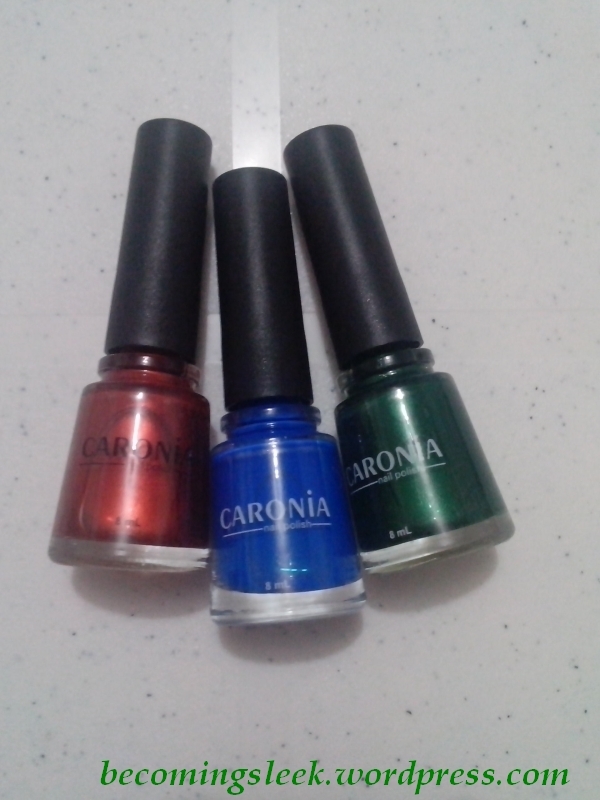 OMG polishes are Php19.75, and I bought these at Landmark Makati. Another one of my OMG hauls last December is Happy Hour. 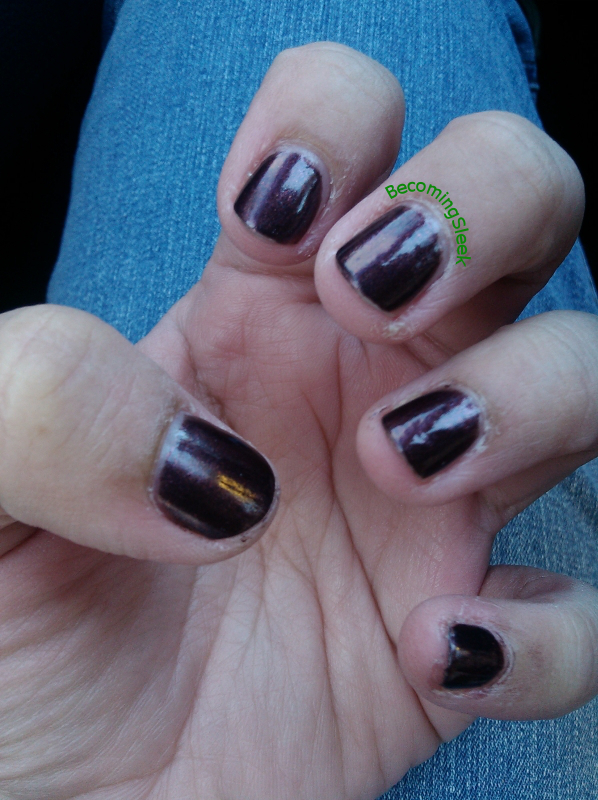 This is a very complicated shade, sometimes it appears as blackened plum, sometimes dark burgundy, sometimes just plain black. Its variability is very hard to capture on photo, but it is really beautiful in person. At times I think it may be a little too dark for me, then a few minutes later I change my mind. This is Happy Hour outdoors. 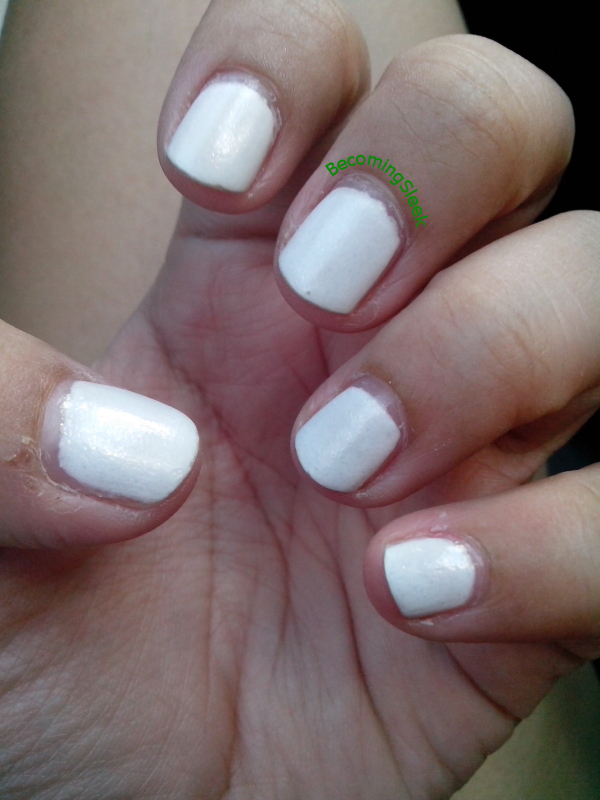 I used two coats, with top coat. One of the things I got for myself last christmas is a pair of Models Own polishes that has been on my wishlist for a while. Honestly I would like to buy all available colors that Glamourbox carries but well, money is limited. I narrowed my choice down to my top two: Fuzzy Peach and Blizzard. 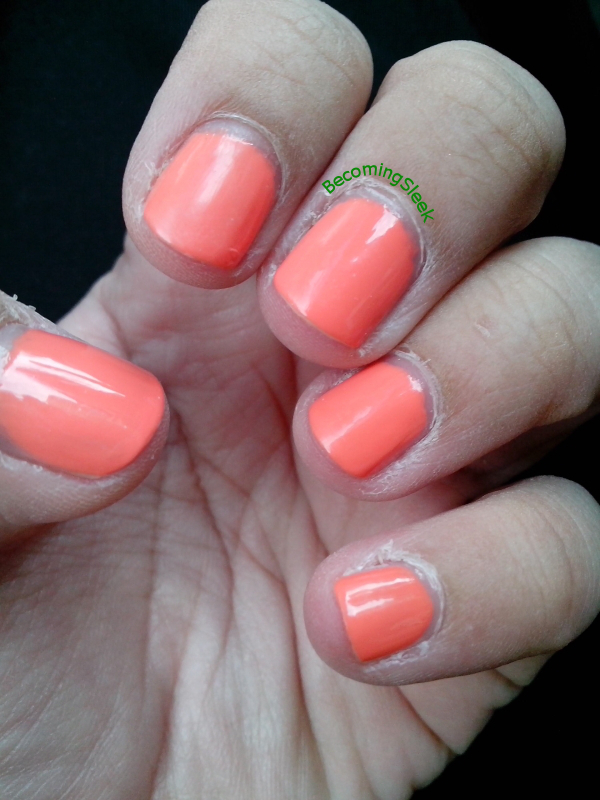 Today I will show you swatches of Fuzzy Peach. 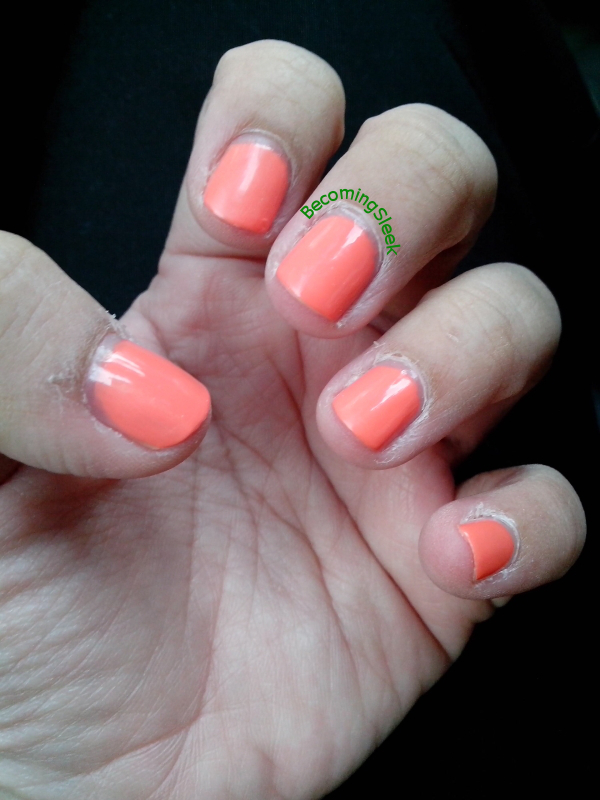 Fuzzy Peach, as the name suggests, is a nice peach shade. It is definitely not fuzzy though! In fact it is pretty bright and loud, and leans quite a lot to neon. I love it! Indoors the neon-ness of it shows a lot more. Outdoors it somehow becomes a little more fuzzy. It applies quite well and dries fast. It also works well with the Dazzle Dry system. 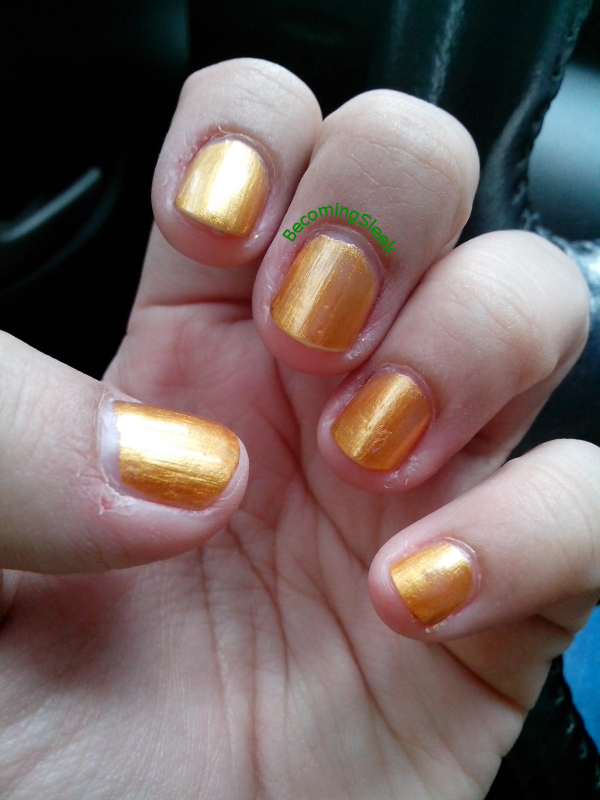 One of my great finds this holiday season is this ridiculously awesome metallic gold shade from OMG. 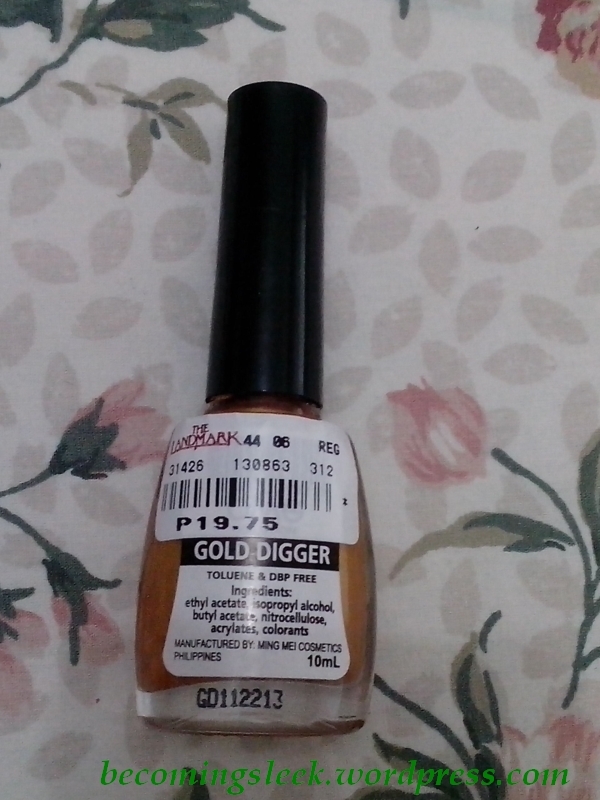 It is appropriately named Gold Digger, and is available in Landmark branches. I got this one at Landmark Makati, for the low low price of Php19.75. It comes in the usual OMG bottle, with the ingredient information and shade name at the back. This is one of the thickest and most pigmented formulas I’ve encountered. It is quite possibly a one-coater, and may not really need a top coat at that. 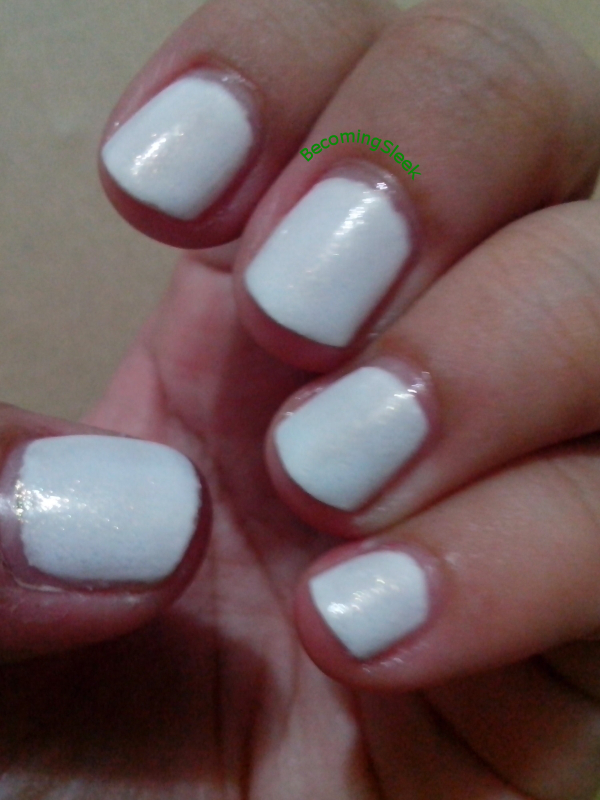 Here’s an indoor shot of the swatch, one coat only and no top coat. And here is an outdoor shot. 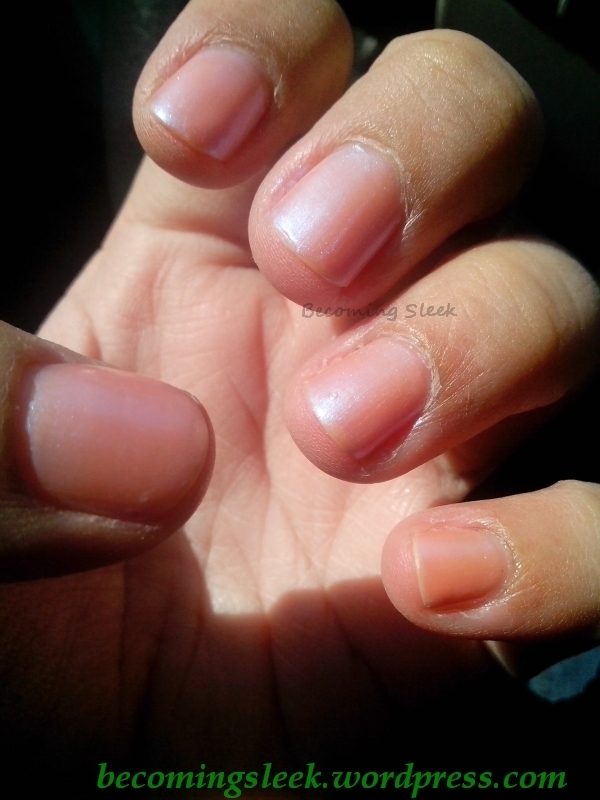 You can see that the middle and ring fingers have a slightly thinner coat, but otherwise this can really be a one-coater. The thick formula may in fact be appropriate for stamping, which I intend to test in the near future. 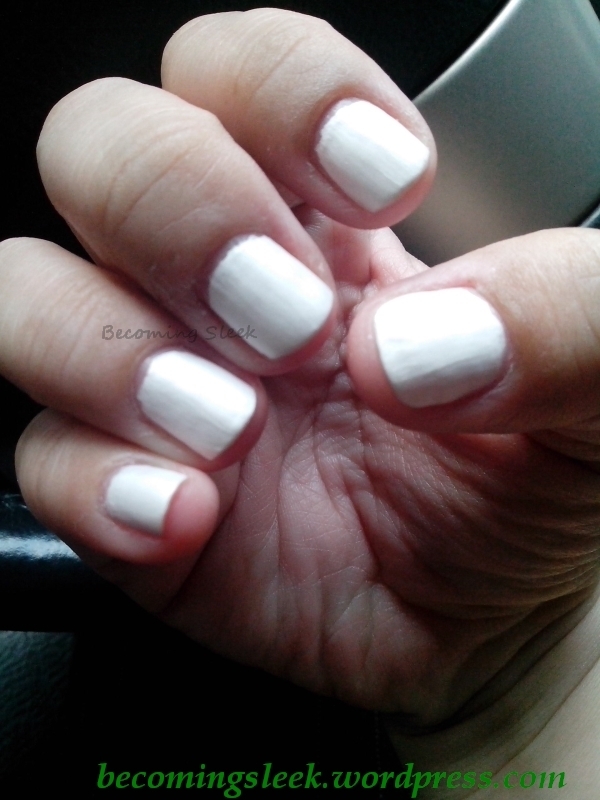 Even without a top coat this mani lasted me for about three days without chipping. 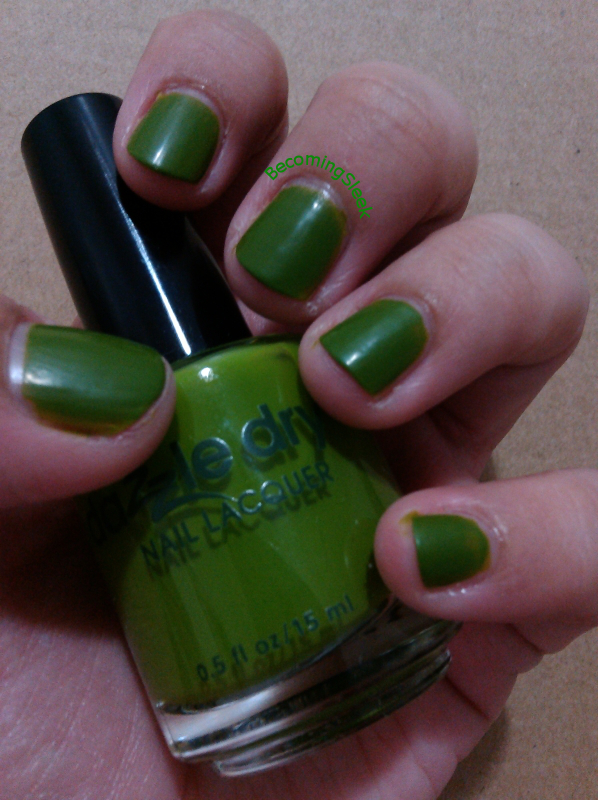 I’ll be updating this post with a photo of this nail polish with a top coat.